From the makers of Spork, a story of two sisters, one blue, the other radiant, both brimming with imagination. Vanessa’s sister, Virginia, is in a “wolfish” mood — growling, howling and acting very strange. It’s a funk so fierce, the whole household feels topsy-turvy. Vanessa tries everything she can think of to cheer her up, but nothing seems to work. Then Virginia tells Vanessa about an imaginary, perfect place called Bloomsberry. Armed with an idea, Vanessa begins to paint Bloomsberry on the bedroom walls, transforming them into a beautiful garden complete with a ladder and swing “so that what was down could climb up.” Before long, Virginia, too, has picked up a brush and undergoes a surprising transformation of her own. 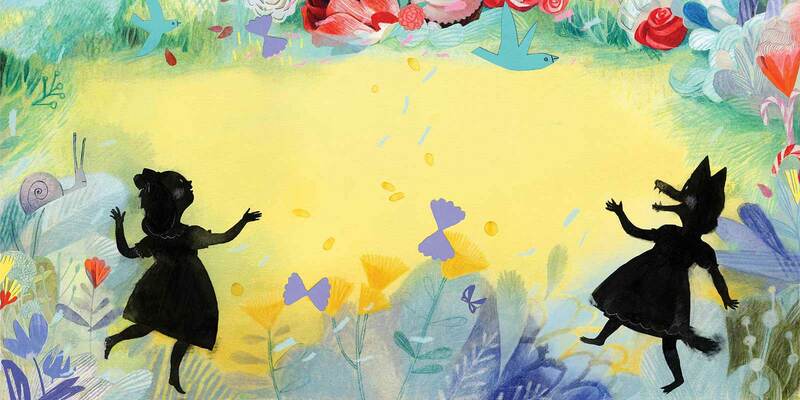 Loosely based on the relationship between author Virginia Woolf and her sister, painter Vanessa Bell, Virginia Wolf is an uplifting story for readers of all ages. Japan: Kijitora Publishing Inc, 2015. Complex Chinese Language: Worldfield Publishing Ltd., 2017. 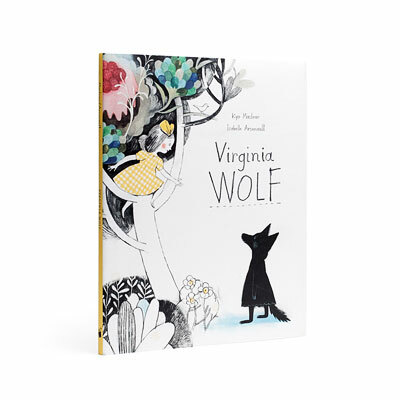 To purchase Virginia Wolf by Kyo Maclear, please visit your local independent bookseller, or order online from Kids Can Press.